WILLEMSTAD/PHILIPSBURG - Where in the law does it say one needs a special permit to organise legal lottery sales via SMS? That’s what attorney Berti Braam queried on behalf of Smart Play against United Telecommunication Services (UTS). The government-owned company per August 15 stopped allowing SMS lotteries on its network. Smart Play of Robbie dos Santos, which is established in St. Maarten, was told they could only continue with an own billing system, number network and licence for SMS lotteries. Braam argued that his client has been offering lottery tickets via SMS since 2008 and it’s only now that UTS wants a special permit. “We have our own billing system and number network, as well as a regular lottery licence. “Nowhere in the law does it mention SMS lottery permits. The only thing UTS could argue is that it’s searching for a strategic partner and potential candidates don’t favour SMS lotteries,” the Curaçao lawyer added. 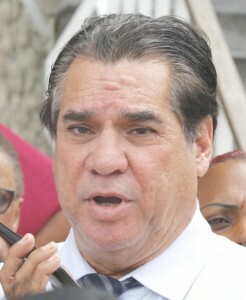 De Baar said it was only during the hearing that his client was shown an application indicating an own billing system. There is also a difference of opinion on a 0900 number Smart Play claims to have. Radcom/UTS insist on a lottery permit where specific mention is made of the SMS service, which their lawyer said is a requirement in Curaçao. The judge plans to rule in two weeks at the most.